It means the website you are browsing is encrypted. 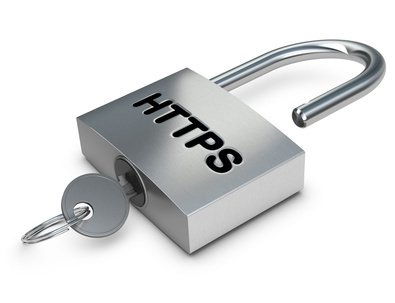 When the padlock is green, it generally means all the items on the website is encrypted. In some cases the padlock may appear but it is not green. This usually implies that some errors are present. It may simply mean the certificate (I will touch on this elsewhere as a troubleshooting piece) does not match the browser address or that some items on the page are simply not encrypted. Different browsers offer different ways of troubleshooting the problem. It is best practice to encrypt sensitive communication between the user and the server. Encryption can slow down the communication between the user and the website but you will hardly notice. Encryption is necessary for sensitive transactions like credit card processing. In a recent project, I recommended the encryption of the repeat prescription data sent by customers to the pharmacy. I achieved this by suggesting a hosting package that comes with an SSL Certificate as standard and enforcing SSL protocol on the necessary pages using a really nice WordPress plug in created by David Gregg of Creative Cloud Solution called CCS-HTTPS under the GPLv3 Licence. Just keep adopting best practices online.